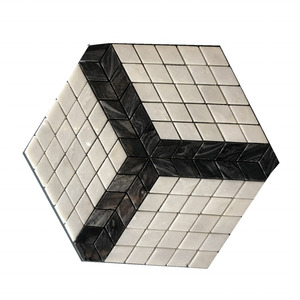 Product Name Popular design irregular slate tiles interior flooring Material natural slate stone Color black, grey , rustic, yellow, multi color Size Slab : 2400x1000mm Cut-to-size: 600x300, 600x600 or customized Culture Stone: 600x150mm, 180x350mm. Surface split, mushroom Quality Control Inspected piece by piece before packing Products Show Color Selection Multicolor White Grey Black Green Rustic Projects Packing & Delivery Our Company Our Advantage Sophie Hong E-mail: sophie @ Whatsapp&cell:+86 157 1151 0366 Web: www. , Ltd Unit 2701, Block 3, Seaview Oscar, Xiamen China Web: www. 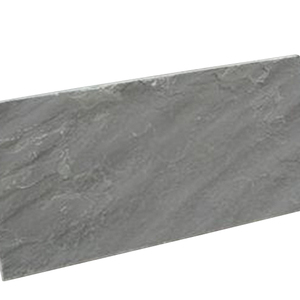 Slate Tile Description Information: ( If you need more information,please contact us ! ) 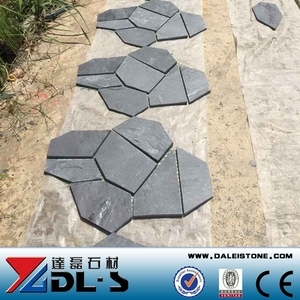 Product name Slate roofing regular size 30*20/40*20/40*25/50*30/60*30cm We have more available size,Pls click here for other size material natural slate tile thickness 0.5-0.7cm,0.7-0.9cm,1-1.2cm or customized color Black,rustic,green,gray shape rectangle,pentagon,scalloped shape and any shape HS 68030010 MOQ 100sqm Applications Interior and exterior roof , Building decoration Resistance Anti-acid, Water-proof, Frost-resistant, Fire-proof, No radiation, No fading package Carton+Pallet Sample free and ship within 3 days Payment TT or BL Production time Usually we can ship in 10-15 days according to the order quantity Export Markets North America, South America, Eastern Europe, Mid East, Western Europe Packaging & Shipping Roofing Tile Our contract Details We are looking forward your enquairy! 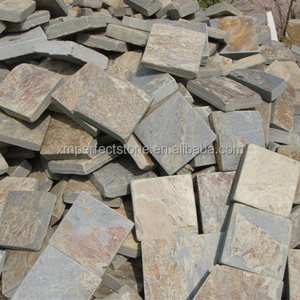 Jingjiang Jianfa Established in 2001, is a professional stone manufacturer and exporter. Marbles are also our main line, there are many types of it to choice. 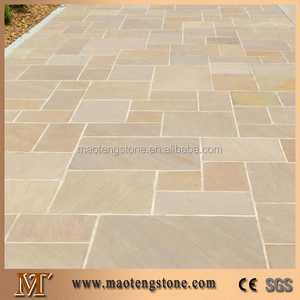 We have big manufacture capacity of the thin tile, Grey granite tile, slab, step, paving stone, kerbstone and so on. 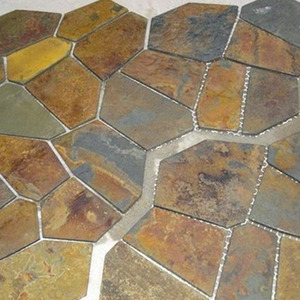 Alibaba.com offers 994 irregular slate tiles products. About 29% of these are slate, 2% are tiles, and 1% are roof tiles. 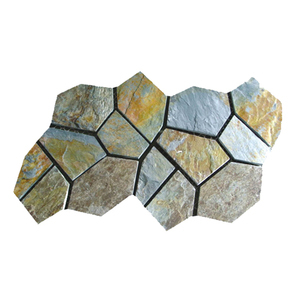 A wide variety of irregular slate tiles options are available to you, such as tile, cut-to-size, and flag slab. You can also choose from split, honed, and machine-cut. As well as from antacid, non-antacid. And whether irregular slate tiles is grey, rusty, or black. 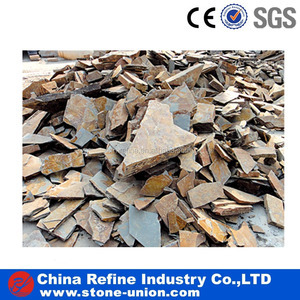 There are 993 irregular slate tiles suppliers, mainly located in Asia. 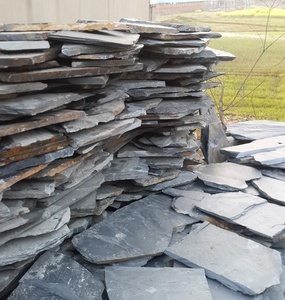 The top supplying countries are China (Mainland), India, and United Kingdom, which supply 99%, 1%, and 1% of irregular slate tiles respectively. 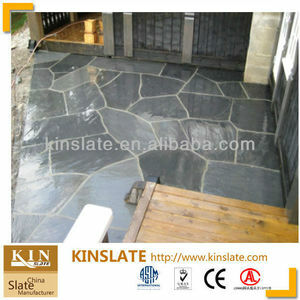 Irregular slate tiles products are most popular in North America, Western Europe, and Mid East. You can ensure product safety by selecting from certified suppliers, including 92 with ISO9001, 78 with Other, and 36 with GSV certification.